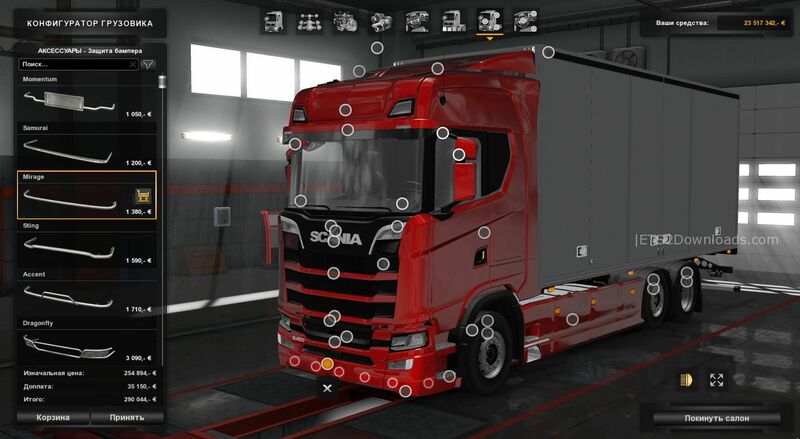 This version of Scania S730 is standalone. 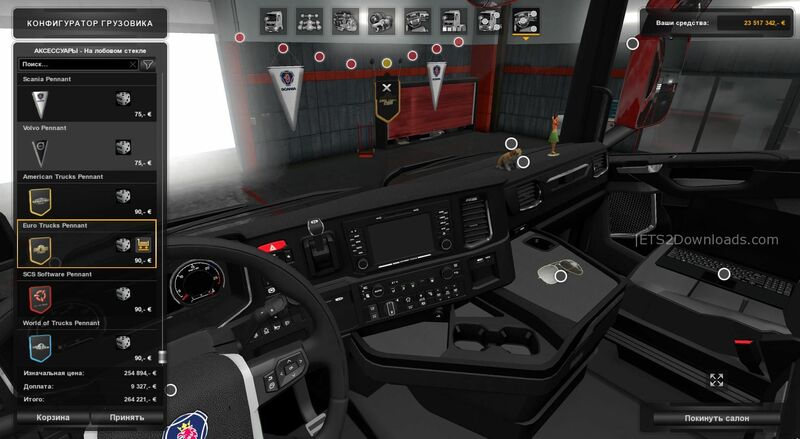 It has 6 cabins, 15 chassis (included tandem), 4 types of interior, sounds, supports Cabin & Flag DlC. 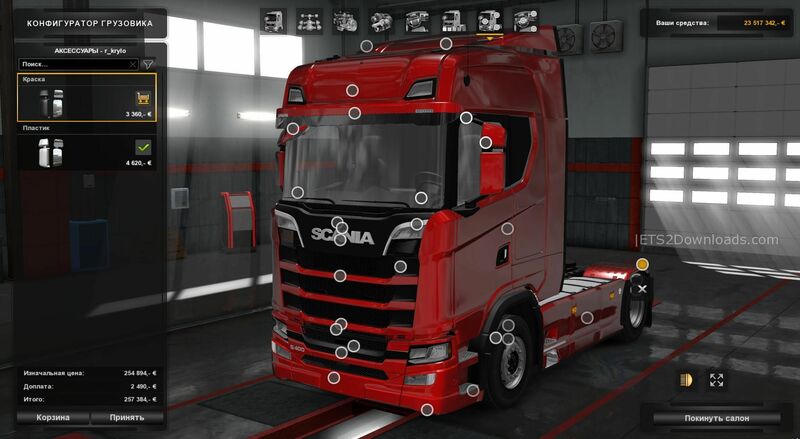 There are also a large number of accessories and tuning.